A Newton Aycliffe business which supports schools with a range of professional services is celebrating a major contract win from central Government. 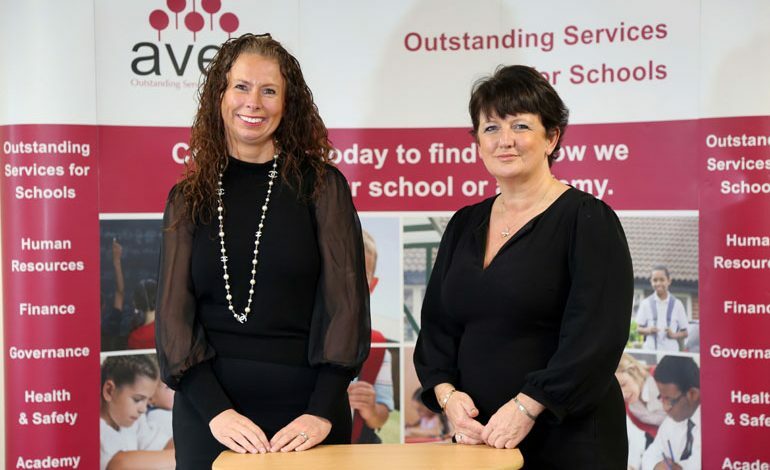 Avec Partnership, based on Aycliffe Business Park, has been appointed by the Department for Education to provide school resource management advisers as part of a national programme. The DfE will be deploying 160 advisers to schools around the county over the next two years, and Avec Partnership will be asked to provide up to 15 of those roles covering North-East and Yorkshire regions. Avec, named after the French word for “with”, provides schools and Academies with a wealth of professional support, from HR, to finance, health and safety and governance services. 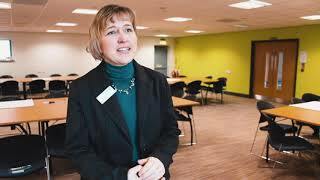 Launched by directors Sarah Monk and Julie Sowerby eight years ago, the firm employs 40 people and already provides support to over 50 multi-academy trusts and almost 200 schools, from Northumberland to Yorkshire. “It was a highly-competitive tender process against some of the nation’s biggest service providers in our industry, so for a relatively small North-East company it’s a significant contract win for us which we’re delighted with,” said Sarah, pictured above (left). “What is most pleasing for us is that it’s the very first central Government contract we’ve been awarded. “As part of the submission we had to provide evidence around our skills, knowledge and expertise of the education sector, our understanding of school finance and how to help schools to save money and be more efficient. “They are looking for us to provide direct support to Academy trusts and local authorities, identifying opportunities to improve resource management. Avec and its team has grown significantly year-on-year – recent new additions have boosted staff numbers from 36 to 40. There are exciting plans to expand further with a new Leeds office, to service Avec’s growing client base further South, and the firm aims to grow its workforce to over 50 within the next two years. Sarah explains: “Schools are becoming more business-like, more autonomous and more independent from local authorities, so they need access to a wider range of skills. “We have the capacity to help their senior leadership teams by bringing a range of different areas of expertise into place, whether that’s finance, governance, HR, health and safety, commercial and growth, and looking at their ideas around future development. Finance specialist Sarah and HR expert Julie launched Avec in September 2010 after having previously worked together in local authorities. The firm started out with just the two of them, but by the end of year one they’d already grew their team to eight, which has since more than quadrupled. And it’s been their valuable understanding of schools, the pressures they’re under and what services they need which has underpinned the business. “We live and breathe education, it’s what we’ve always done,” says Julie. “We’re passionate about education and children, supporting schools in giving every child the best experience they possibly can within school – that’s what drives us. Those interested in getting involved with Avec Partnership and its school governance service can call the team on 01325 281480 or email [email protected] – or go to avec-partnership.com for more information.